How using virtual assistants can grow your business to 7-figures quickly so you can be truly location independent. Michelle Dale is the creator of Virtual Miss Friday, an online Virtual Assistants company that helps entrepreneurs realize their dreams starting with what Michelle would say is the most important aspect of a successful business: Mindset. Michelle equates working on mindset and being an entrepreneur as one in the same. Specializing in digital product sales and working with 6 and 7 figure earners, Michelle has spent a considerable amount of time crafting her trade and loves working with the location independent contractors by helping them scale up using virtual assistants in smart and creative ways. Today on the Expat Money Show Michelle Dale and Mikkel Thorup walk down the path of what it takes to be a successful location independent entrepreneur. What are the steps that need to happen, how do they happen and why? And specifically why mindset is the key to all success! Listen in to hear what Michelle Dale does with clients to get them ready for their online success. She understands that it can’t be done alone, and why would you want to do it alone? This theme seems to come up time and time again. Don’t go it alone. Get help from the professionals that do the job you don’t want to do, like Facebook ads, YouTube, SEO, Marketing, whatever that job is there is someone out there that usually does it better than you. Maybe you are wondering where on earth would I find support staff that is knowledgeable, honest and trustworthy, and willing to work for me for a decent wage? Look no further! Michelle lets us in on the secrets of hiring a top-notch freelancer! The virtual assistants business model is brilliant. If you are tired of trying to create an online digital marketing company, or are tired of living in your country of birth and want that amazing life as an expat entrepreneur, don’t miss this episode. Mikkel Thorup and Michelle Dale talk about being expat entrepreneurs and how similar their paths have been and how they got to be where there are today using the skills they have learned along the way. They both credit their success to being creative and thinking outside the box, and how they chose not to follow the conventional rules of education. Michelle is a native Brit but left when she was 24 to pursue her dream of travelling the globe. We talk in depth about what it took for her to leave her home in the UK, to pack her bags and make that crucial decision to not buy a return ticket home, to make her crazy idea of living and working outside her country of birth a reality. Michelle tells us stories of her families travels, the places they have lived and worked and the excitement. When her family decides it’s time to move and start a new chapter in their lives, one filled with excitement and passion, people ask her how her children feel about selling everything they own other than a few suitcases of their personal effects and set out for the unknown. Most of you would be surprised to hear that it is her children, all 3 of them, that get the urge to leave their home and travel and make a new home for themselves somewhere new. They love the travel, the food, the culture just as much as Michelle and her husband do! That was so inspiring to hear. We always worry about how our children will be affected by the changes we make in our lives, but time and time again we hear the same stories, about how resilient our children are, and how they love the adventure and learning about a new country. They love learning by being immersed in the culture and they are happy and well adjusted. Michelle talks about her love of Egypt. The people, the culture, the smells…and as her and her family travel the world, living and working in several countries around the globe, they always consider Egypt home. Her story is fascinating and I believe that so many of you might just resonate with it. It is one of adversity and perseverance and pushing through those boundaries that were set by others to come out on top. Certainly, we have been fortunate on The Expat Money Show to have a number of strong females like Nydia Monarrez, Trish Leto, and Mindy Stern. And now with Michelle Dale appearing as a guest on the podcast we really do have a rock star line up of Female Expat Entrepreneurs. I really hope this inspires other females to get out into the world, travel, build their business abroad and more than anything follow their dreams. I loved this interview with Michelle Dale because she has lived the life of her dreams. She started her journey at 24 with nothing and has created an extremely successful mentoring program, all while travelling the globe, getting married and having children… so inspiring. Finally, On The Expat Money Show, I aim to bring in the best Entrepreneurs from around the globe who are doing some really incredible things. Michelle Dale and Virtual Miss Friday shows us that all is possible with the drive and determination one can get from travelling the world!  I hope you get as much value from this Podcast Episode as I did… and if you would like to stay up to date with all new content that comes out at The Expat Money Show make sure you sign up to our Newsletter below. Some of my best stuff comes out by email and I don’t want you to miss it!